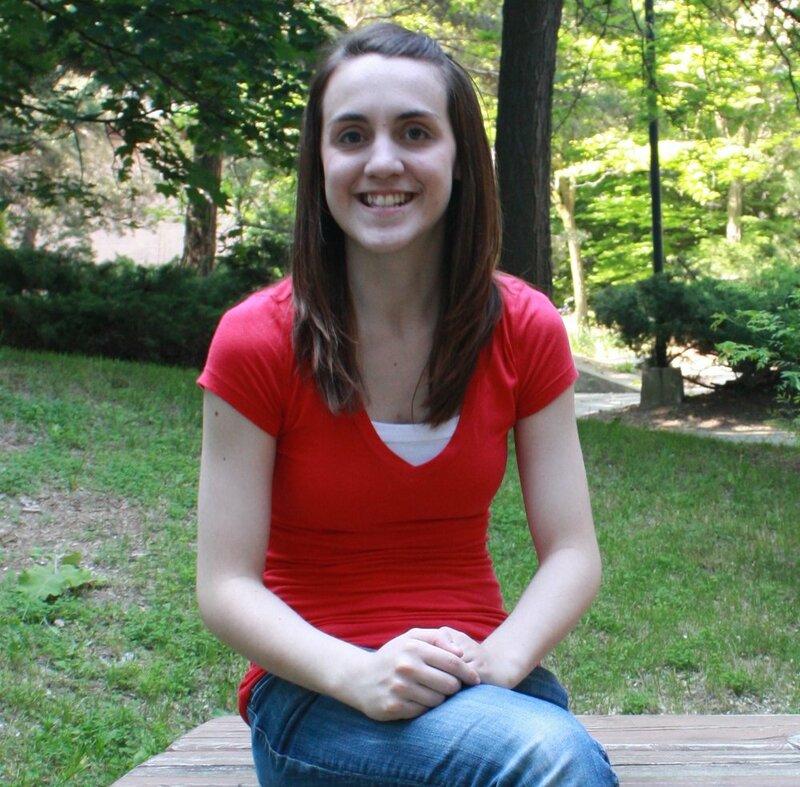 Guest Guru: Elizabeth Celentano Talks Engineering! It’s my favourite month of the year, and it’s not even my birthday!!! March is National Engineering Month in Canada (check out http://www.nem-mng.ca/) when engineering professionals nationwide reach out to young Canadians to help them learn about career options in engineering. Well, the first two parts are easy. Engineering principles are basically just a fancy way of saying that engineers use scientific principles and apply them to design solutions to a problem. The last part is about duty to the public. Yes, you heard that right. As a Professional Engineer, you have to act in ways that safeguard and protect the best interests of the public. That can be a super big deal if your company wants one thing, and the best interest for the public is different! I went to school for chemical engineering (transforming matter into products we use every day), but my current job is more of an industrial or manufacturing engineering role – this means I work to make manufacturing processes efficient from beginning to end. However, I like to look at it as solving problems. Everything I do is to solve some problem, and the solutions I develop utilize all the math and science skills I’ve gained from school and past work. What problem would you solve if you were an engineer? Leave your ideas in the comments. 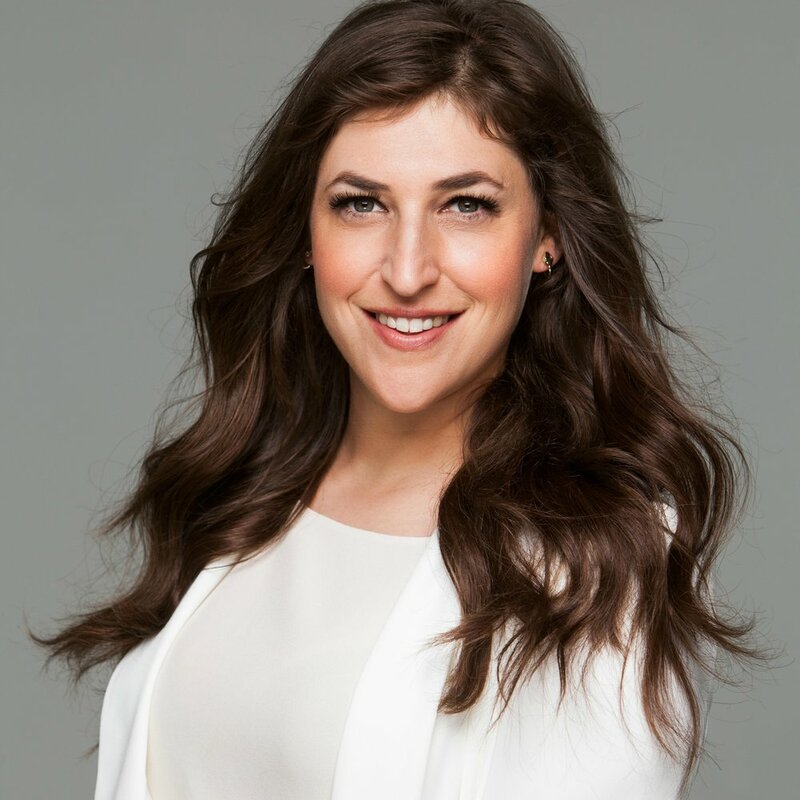 Guest Guru: Q & A with Mayim Bialik! Okay guys, this is a big one for us. Last year, one of OUR role models, Mayim Bialik, invited us to write a piece for her incredible and inspiring site, GrokNation. Today, she’s making a cameo on our blog as an ever-fab Guest Guru! Aside from being a kickass leading lady on The Big Bang Theory, she's one of the big players in the movement towards encouraging women to pursue #STEM. Mayim is an advocate that we totally look up to and wish we could hang out with on the daily - for real. We’re so pumped that she took the time to answer some of our burning questions! Q: Let's start with this: what is the absolute coolest thing about math and/or science? A: Well, it's hard to pick one thing! I think the coolest thing about math is that it is a completely arbitrary set of names and labels we have given to a system that literally runs the universe. Instead of calling things one, six, and 500, we could also call them polkadot, badger, and violin. Math would still be math because it just IS and we find ways to explain what it is with words and symbols and labels. Q: Why should high school kids stick with math and science instead of dropping them at the earliest opportunity? A: The majority of jobs available to young people in the future will require some background in math and science. In addition, some of the higher paid jobs and jobs in the fastest growing most exciting markets require math and science. Plus, understanding math and science sets you up for understanding the world in a whole different way even if you don't choose to go into those for your career. It can help you plan for your life including finances, buying a house, and general decision-making. Also, it gives you an appreciation of the universe that can really change your perspective on life in great ways. Q: I love love love that you're passionate about finding ways to encourage young women to enter STEM - that's what I'm all about! What are three things that you think we all could be doing that we're not? A: More positive role models, more mentorship programs, and more funding from the government please! Q: Girls often develop the belief that they're inherently bad at math much more frequently than boys do. Why do you think that is? A: Girls and boys brains do tend to work differently, and this means that sometimes the female brain appreciates being taught in ways that have typically been designed to teach male brains. Sometimes, girls need to be able to picture themselves as a mathematician or a scientist in order to be able to understand why the skills are even important to put in effort to learn. Also, girls tend to be more social, more verbally sophisticated, and more interested in different kinds of activities than these classes sometimes lend themselves to. Creative teachers and more funding for math and science in schools would help this a lot. Q: I really really believe that a huge part of why girls aren't inspired to pursue STEM is due to the fact that popular media doesn't exactly paint STEM as inspiring or welcoming for girls. What do you think? A: I think we definitely see a lot of stereotypes of females in the media when we think about women in science. In addition, our culture in general reveres youth and beauty over praising and understanding the kind of people who pursue a life in math and science. So I don't know that I would blame the media, but I think the media is part of a larger problem we have in our culture with what we value and how. Q: Do you think that your character in Big Bang is finally a step in the right direction for popular media and representations of women in STEM? Have any young women reached out to you about our character? A: A lot of people think the characters on the Big Bang theory are stereotypes and possibly negative stereotypes of nerds and geeks. I personally know people like all of the characters! and while Bernadette is a microbiologist who wears more attractive clothing and cute headbands and Amy is more of a modest dresser, we are showing two different kinds of females in science and I love being a part of that. Also, all of the characters on the Big Bang theory who are scientists enjoy their lives, enjoy the way their life is structured and have friends and successful relationships. I think that is very important to show on television. Q: Lack of confidence is a major issue when it comes to girls pursuing STEM. What advice do you have for parents of young girls who develop a fear of math in elementary school? A: Reinforcing that boy and girl brains alike can and should learn math is very important. There are a lot of programs online that parents can be involved with alongside their children to encourage them to build positive skills especially in the math department. Q: How do you feel about the word 'nerd'? Yes or no and why? A: I fall under the category of nerd and geek so I say yes! I have been called a nerd a lot in my life by people who were being mean, but now the culture has shifted, I kind of like being called a nerd. I love all sorts of nerdy and geeky things and enjoy my life a lot because of those things. Q: Is there hope? Seriously - do you think things have improved in terms of female participation in STEM fields, and do you see them continuing to improve? A: I think there is definitely hope. You and the work you do give me hope! For more info on Mayim and the amazing work she does to encourage young women to pursue STEM, check out her full-on website or visit Groknation! LOVE her SO MUCH! Can you think of someone who you would love for us to feature as a Guest Guru? Holler at us: info@themathguru.ca! Guest Guru: Elizabeth Celentano Dishes On Ice Cream! Hello all! I think there is little else that is more enticing to me than ice cream (OK, I’ll admit it - crème brulee might top it, and realistically it is just a different version of sugary-creamy goodness). So what better scenario could I have this week then being able to make ice cream with my coworkers during a team building exercise? And the more surprising part? I had 3 experienced, full grown adult, male engineers ask me why salt was needed to make the ice cream. First of all, remember that this is when you are making ice cream by hand. Good old hand-crank, churn for long time, until the cream mixture freezes. The salt is required for the ice on the outside of the hand-crank machine. Let’s talk about melting and freezing. They actually happen at the same temperature. For example, if I’m a solid and I want to become a liquid, I have to get enough energy (typically in heat form) to raise myself to my melting temperature. If I’m solid ice, I need to get up to about 0 °C. However, getting up to that temperature won’t automatically turn me into liquid (which is why you can still get ice, or snow, on days that are 0 °C). Liquid molecules have much more energy than solid molecules, which is why they are fluid and can’t hold their form. With all the energy required to go into the phase change, there is no temperature change occurring during the phase change. So what about the salt? Well, for ice cream, this melting / freezing point is actually at a lower temperature than 0 °C. The sugars and fats in the ice cream mixture require a colder temperature to freeze than pure water molecules would alone. This requires more than just ice to cool the ice cream mixture (otherwise the ice would melt before the ice cream is frozen). Salt is the key! Salt itself has a much higher melting point than water, so making a salt-water solution will lower the point at which the solution melts! But, in turn, it’s actually important for the salt-water mixture to melt. Why? Because the energy needed to change the salt-water mixture from solid to liquid needs energy (remember, the phase change we talked about?). That energy comes from the environment. And in what form? Heat. In other words, taking heat from the surroundings to melt the salt-water mixture ultimately makes everything colder, including the ice cream mixture – which needs to be colder than 0°C to freeze. It’s not magic, it’s SCIENCE! And delicious science at that. Guest Guru: Meet Elizabeth Celentano! What even IS a "Guest Guru"? Let us tell you! There are so many amazing people with so many incredible voices out there, that we wanted to dedicate a part of our blog to giving these voices a platform. Our new "Guest Guru" feature is our way of showcasing the amazing awesome people and places that we've had the chance to discover, to create a community of shared experiences. You know what they say: two minds (or like, a million minds) are better than one! Our Guest Gurus might be featured once, twice or on an ongoing basis if they want to share as much as possible with you! We know that we don't know EVERYTHING, and we're excited to collab with people that know stuff that we don't so that YOU, in turn, can learn from them as much as we can. We hope that you enjoy our very first Guest Guru post! If YOU have a great idea for a Guest Guru that we can feature on our site - email us at info@themathguru.ca! The more the merrier - enjoy the ride! To my knowledge, I am the first guest-blogger to join the TMG family! I can’t begin to tell you how excited I am to share this space with you all. My name is Liz. I am a full-time chemical engineer, working in a manufacturing plant. More importantly, I am a lifelong lover of math and science. More accurately, I am a 100% geek. Put whatever you want in front of it – math-geek, science-geek, music-geek, theatre-geek, board game-geek – I am EXTREMELY passionate about a lot of things. That being said, I wouldn’t have loved math and science as much as I do just from my teachers at school. I was lucky enough to have an amazing tutor outside of school from grade 5 until I graduated high school that went above and beyond the normal school topics. He taught me to LOVE math contests and actually get pretty good at them (did you know you could get medals for MATH?! ); he shared his love of astronomy with me (did anyone else see the recent super moon???? ); but most importantly he would teach me math in a way that made it relevant to me. He taught me that before Pythagoras existed, Ancient Egyptians would use knotted rope to create the right angles needed when building the pyramids using known ratios (later known as Pythagorean Triples). And in an unforgettable moment, he brought this demonstration to my house, and almost got my entire living room wet – but to this day I can recall the formulas for spheres, cones and cylinders without hesitation! I am hoping through these semi-regular blog posts that I can bring some relevant news or related topics to your attention to help get YOU excited about math and science! I’ll even talk about my work, what I’m getting excited about day-to- day, and I can even answer questions! Stay tuned, and get excited for this collaboration!! !